Okay so who started it? Who began designing those intricate circles in fields of grain across the globe? Some say those stunning Mandala-shaped designs are created by human hands. Yet it is difficult to believe folks could come up with the more complex, geometric circles amongst them. In fact, some crop circles designs are so detailed; those who devised them would have to have to be up to date on high mathematics. Colin Andrews and Crop Circles are “joined at the hip”. Certainly Colin is one of the more proficient and well-known investigators of this amazing phenomenon. Colin is an electrical engineer by profession, yet his compulsion to research the origins of Crop Circles has been ongoing since 1983. He has become so well known in his field that he has appeared on television with Barbara Walters and Shirley Maclaine and has been interviewed on the Gloria Hunniford Show, CNN Live Today, the Learning Channel, and more. Whether we pay lip service to these claims or not, it cannot be denied that Crop Circles are an amazing expression of “something” we cannot ignore. Of course we can choose to believe that some individuals want to “tease” the general public and their governments and are laughing at us behind our backs (theories that Crop Circles are created by the military with satellite laser beams has also been presented). 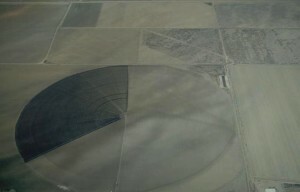 But the truth is there are far too many Crop Circles out there right now, and they are manifesting more and more, in fact some of them have never even been seen by the public.